The City of Bellingham Maintenance Department was burdened with the high cost and extensive labor required to maintain 3 spiral-type stormwater filter systems. The City contacted Contech to explore the possibility of replacing the existing cartridge systems with the Stormwater Management StormFilter. The StormFilter uses rechargeable, media-filled cartridges to absorb and retain the most challenging pollutants from stormwater runoff including total suspended solids, hydrocarbons, nutrients, metals, and other common pollutants. All StormFilter structures provide access for inspection, media replacement, and washing of the structure. StormFilter has been designed for predictable maintenance intervals ranging from 1 to 3 years. The City has extensive experience and a long history of using the StormFilter system, so they knew that this would provide eliminate clogging, provide longer maintenance intervals, and lower maintenance costs. After thorough site evaluations, Contech was able to design StormFilter retrofits for all 3 of the existing systems. The units were first cleaned using a vacuum truck. Next, all the existing components were cut out down to the inlet/outlet stubs. Stainless steel risers and StormFilter flow kits were then installed. Finally, the StormFilter cartridges were installed containing ZPG media, a proprietary blend of zeolite, perlite, and granularly activated carbon to target organics, soluble metals, and other pollutants. 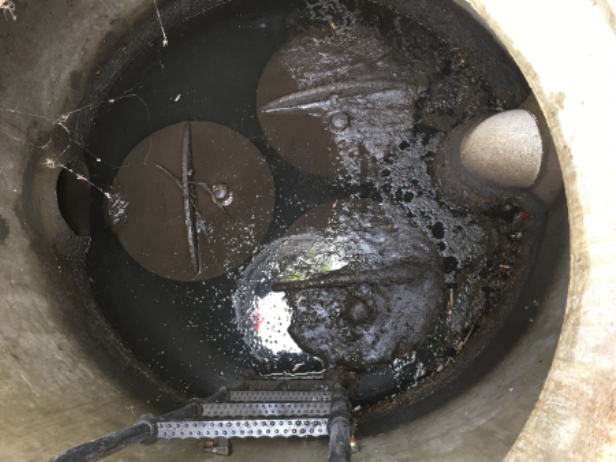 The original cartridge systems were removed and customized StormFilter systems were installed within the existing structures providing the City with 3 new treatment systems utilizing a total of 14 StormFilter cartridges.